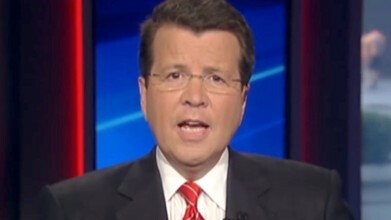 Fox News' Neil Cavuto went through a list of all the violence coming from the left since President Trump was elected in order to show what he saw as hypocrisy of the media on Trump's offensive tweeting. The monologue aired Monday at the end of his show. "So ABC News reports that after his CNN wrestling tweet," Cavuto began, "President Trump will have to own any violence that might come as a result. The New York Times cites some journalists' fears the wrestling themed portrayal of violence is dangerous, saying it could incite attacks or threats against news media employees."